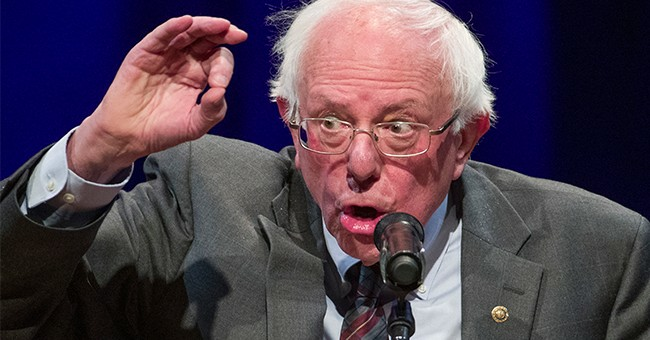 Bernie Sanders goes there: Let's have a "wealth tax"
You’re probably already aware of the growing popularity of Bernie Sanders among the furthest left wing of the Democratic Party. (Ironic, since Senator Sanders fled the party and re-registered as an independent as soon as his presidential bid ended.) One of his most often discussed proposals lately is a single payer health care scheme involving “Medicare for All.” The big sticking point on that plan is the almost unimaginable price tag that goes along with it and the question of how he plans to pay for it. When he introduced his Medicare-for-all bill last week, Bernie Sanders also put down on paper the idea he’s been talking about, sometimes loudly, sometimes with caution, other times not publicly at all, f0r more than 20 years: a “wealth tax” in the United States. In 1997, in his book, Outsider in the House, he declared it “high time to establish a tax on wealth similar to those that exist in most European countries.” Nine years later, during his first race for U.S. Senate, his opponent quoted the passage online, printed it on brochures, and pushed it in statements: “Sanders’ European-style wealth tax,” on “everything they own every year. Every tractor, cow, and acre.” In response, the Sanders campaign argued that he had never formally proposed a wealth tax, just floated the idea. At first glance one might think that Sanders was just talking about a massively higher income tax on wealthier Americans. Don’t be fooled. That’s old news because Sanders and many of his allies on the left have been screaming about “taxing the rich” for years, and at levels many voters today have never known in their lifetimes. This is not a tax on new income for the year or even carried interest. It’s an audit of everything you’ve managed to acquire throughout your life, followed by the receipt of a tax bill calculated based on your total net worth. Let’s be clear about one thing here. A so-called “wealth tax” can be readily defined as follows: It’s the death tax, only they make you pay it every year long before you’ve died. Even if you earn no money in a given year after your retirement or receive no interest payments on your savings, if you own a house, a car, a vacation property or, hypothetically a cow, a tractor and an acre of farmland, you will have to come up with the cash to pay the government a percentage of that total value. And if you live long enough in that static condition, they will eventually tax you until you have nothing. That’s the socialist dream of eating the rich, torn straight from the pages of Jean-Jacques Rousseau. Unfortunately for Sanders and his followers, while there are many people in the country who have achieved admirable success in their effort to grab a piece of the American dream, all of their wealth combined wouldn’t finance his plans for very long at all. It’s an unsustainable idea suited mostly for igniting the furor of the presumably oppressed masses who haven’t yet achieved any significant amount of prosperity. I’m fairly sure that you could never get such a “wealth tax” past the GOP majority (or at least I’m praying we haven’t gone that far astray yet) or even some of the more sensible Democrats. But if we slide too far in the wrong direction, that could be on the horizon for you younger folks. Best of luck surviving it.